Mekkapro’s netting is a good solution for camping or outdoor seating. It is described to be large enough for a king-sized bed, though other reviews say otherwise. We think this is a good option all around. There is little to complain about with this conical mosquito netting. Its extra tall and wide netting offers full, effective coverage, and the hanging system is simple. We love this product, and so do customers. The EVEN Naturals company offers an affordable and convenient solution to everyday mosquito annoyance. The head net protects from mosquitos, although it lets in small gnats and could be longer. The warm months of summer come as a sign of vacation, sunshine, and freedom for a lot of people. What’s not to love about summer? While summer is typically a time of fun, friends, and family, there are a few downfalls. With the warm temperatures of summer come one of the world’s most hated insect: the mosquito. These irritating bugs prefer temperatures over 80 degrees, so when that sun comes out, so do they. We all know how obnoxious these bugs can be. They feed on blood, making humans the perfect target. What’s more, we tend to spend a lot of our time in the summer outside. A mosquito’s bite leaves a raised mark that itches like crazy. They can make any outing unpleasant and miserable. 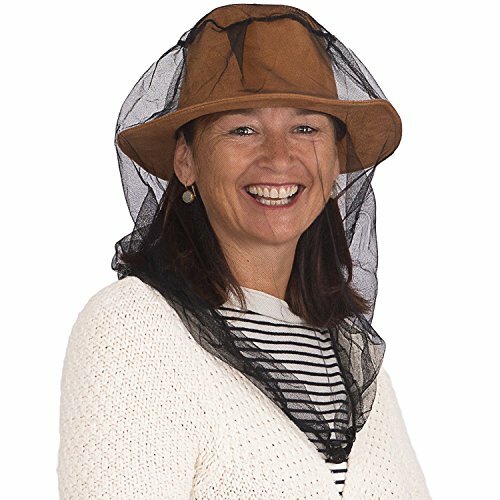 A lot of people will invest in specialized mosquito netting that keeps mosquitos and other bugs out and unable to bite. Check out some of the best netting products out there. Why Purchase a Mosquito Net? 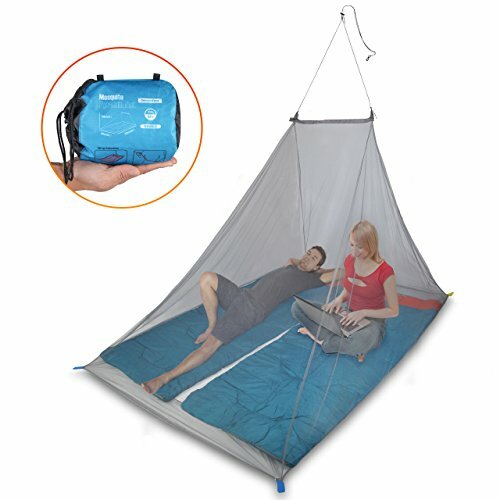 The Mekkapro Ultra Large Mosquito Net is a huge hanging netting that measures 71 inches by 87 inches for full protection. The netting is made from ultra-fine white polyester mesh that is 100% eco-friendly, odorless, and chemical-free. This machine-washable netting can be hung virtually anywhere. It comes with seven screws along with a durable string to tie it up on camping trips or in your backyard. All of these items come in a convenient, portable carrying bag. The net features two openings for easy in and out access. The extra fine mesh acts as a natural repellent, keeping mosquitos along with wasps, flies, and other bugs out. A lightweight net, this particular product is large enough to cover as much as a king-sized bed. Use it in any environment to protect against mosquitos. Conical netting is just what it sounds like; it has the shape of a cone. Abco Tech’s Mosquito Netting features a hanging design, so you can hang your netting anywhere indoors or outdoors. Measuring 87 inches tall (about 7.25 feet) and 28 feet wide, this extra tall and wide netting is designed to fit over any sized bed and cover large areas. It’s suitable for cribs, the playground, camping, and patio sets. The netting comes in a convenient carry pouch and includes a hanging set with rope and wall mounts. Handcrafted, this netting is reinforced where it counts. It is made to last, developed to be strong and stretchy. This material is completely eco-friendly and effective without the use of chemicals or pesticides. Its material is 100% multi-filament polyester that provides natural protection. The single flap opening makes it easy to enter and exit without a hassle. Whether you are at an outdoor sporting event, a long hike in the mountains, or in your backyard gardening, a mosquito head net can offer excellent protection to keep mosquitos away from your face and neck. 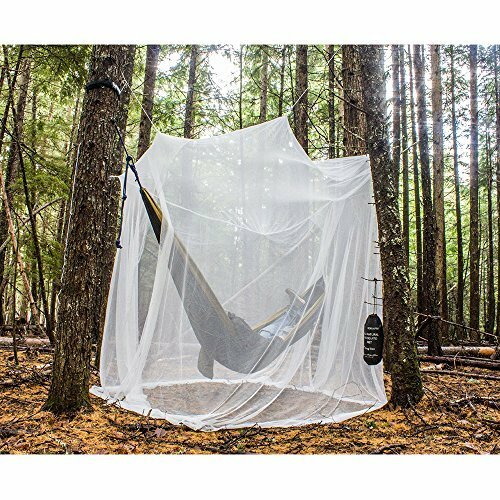 EVEN Naturals mosquito head net uses soft, stretchy, and strong fabric that features small holes—about 300 per square inch. These tiny holes don’t let any bugs in, let alone mosquitos. The netting is the perfect size to fit most hats; you can use it over your favorite ball cap or your special gardening hat. The elastic drawstrings let you customize the size of your netting to ensure you can see and function without it falling off or getting twisted. With both excellent visibility and breathability, you can be comfortable while keeping the bugs away. This fabric does not use any pesticides or chemicals, making it safe for you and the environment. The low price is just a bonus—this company doesn’t sacrifice quality for the price. Most of us know what it’s like to be on a tight budget. 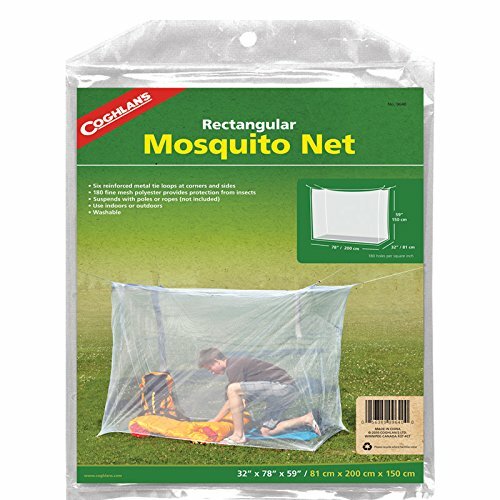 Just because you are on a budget doesn’t mean you shouldn’t get the same protection as everyone else, and Coghlan’s back that statement up with their affordable mosquito netting. For just five dollars, you can get this rectangular, single-wide mosquito netting that gives you fully enclosed protection. The enclosure even has a floor base and is designed to cover a single-wide sleeping bag or cot completely. It comes with six metal tie tabs and four ground anchors. The polyester is mildew resistant and comes in a small carrying bag for convenience. The 180 mesh design protects against mosquitos and other biting insects. Ultra lightweight at just 6 oz. Convenience is a great selling point for any product. The Dimples Excel Mosquito Net offers minimum weight and comes in a very small, compact carrying case for maximum convenience. Whether you are camping, hanging out in the park, or reading in your backyard, this small carrying case can go where ever you go. This easy-to-use product hangs by just one hook. Its four corners can be anchored to the ground. The netting is a fully-encasing design that holds close the ground. This ensures that no bugs or mosquitos can get in from any point. This netting features a unique, asymmetric design that was developed to allow more space at the head end. The colored tapes at each corner allow you to identify which end is which, making setup even easier. Stakes and pegs are not included, but the netting is 100% multi-filament polyester REACH compliant materials, which means it is 100% eco-friendly and has maximum resistance to tears and bursting. 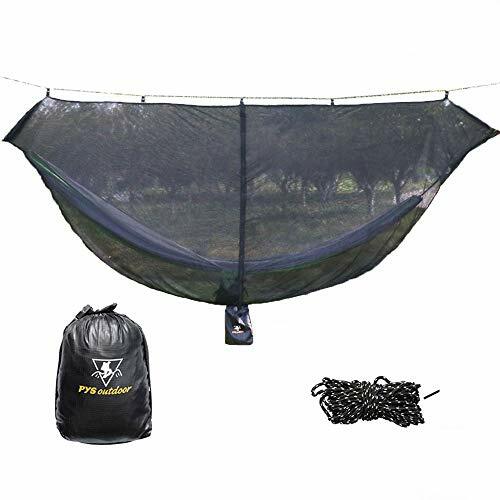 Self-claimed as one of the largest hammock bug nets on the market, the PYS Hammock Bug Net is 12 feet by 4.4 feet. The large size allows you to encase your hammock completely without feeling restricted or tight. The 360-degree coverage features superfine mesh fabric that keeps out the smallest mosquitos and gnats. It has a vertical zipper that allows you to get in and out easily. Lightweight and portable, this netting weighs 21.5 ounces and easily fits into its small carrying pouch. It includes the ridgelines and carabiners you need to set it up around your hammock. The setup is easy, and it can be used anywhere your hammock is used. Protection against mosquitos is not only good for comfort reasons, but for health reasons. 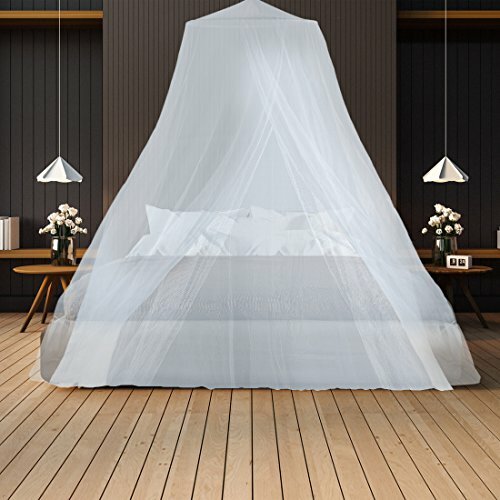 For those of you who are purchasing a mosquito net for the first time, you may feel a little lost on what to look for or why you should get one. We have put together some information in hopes of helping you along with the decision process. This may seem like an easy question, but we understand that the benefits of a mosquito net may not be 100% clear. After all, they make mosquito sprays and repellents for a reason, right? While sprays, repellents, and killers are great tools to use in defense against mosquitos, they are not always effective. Many bug sprays vary in term of effectiveness. While some may start out effective, they often are not long-lasting. They can also leave funky smells and sticky residues, neither of which are ideal or pleasant. Protection against mosquitos is not only good for comfort reasons, but for health reasons. Mosquitos can carry Malaria. Malaria can be a very dangerous disease, and there are certainly more diseases carried by insects. Simply put: mosquito netting keeps these insects out. There are tons of options out there regarding mosquito netting. Lots of them are equally effective, but there are some key things you should look for. First of all, choose a netting that has a tightly woven design. Netting with 250 to 300 holes per square inch will ensure the holes are small enough the keep out the tiniest gnat. Depending on what you are using your mosquito net for, you may want to consider a lightweight design. If you’re going on a camping trip, the smartest thing you can do is pack light. Some netting can be as lightweight as 6 ounces. Some nets are completely chemical-free, and then some nets are treated with insecticide. Which one you choose is a matter of your personal opinion. While the insecticide-treated nets tend to be more effective (they kill insects on contact), some prefer a more eco-friendly choice. Lastly, make sure you get a net you can set up. Some are harder than others, though most will try to make it as simple as possible. Go for a quick, easy setup if you can, and try to practice setting it up before you take it deep in the woods or on a hike! Mosquitos are blood-sucking insects. They have wings and can fly. What a lot of people don’t know is that only the female mosquitos bite, because they use the protein in the blood to help develop their eggs. Other than that, both female and male mosquitos actually feed mainly on fruit and plant nectar. Mosquitos actually don’t have teeth. The female uses a long, pointed mouthpart called a proboscis to pierce the skin and draw out blood. These females can lay up to 300 eggs at once and will often lay them in areas near water. After they hatch, mosquitos will spend their first ten days in the water. They hibernate when temperatures reach 50 degrees or under and come back out when it gets warm. From there, they tend to live less than two months.